From the very beginning she has been her Mother’s Child. 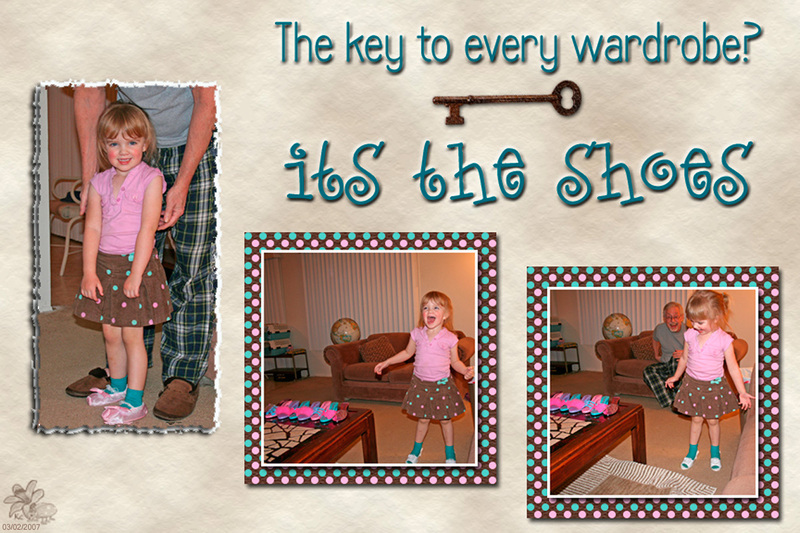 This memory was posted in Wordless Wednesday and tagged Amara, shoes, Wordless Wednesday on August 15, 2012 by Grandma Kc. What is it about girls and their shoes? We were at the store this morning, and my granddaughter tried on numerous shoes with a gigantic smile on her face. Fun stuff. LOL!! Love the shoes! My daughter would love this! I miss having a little girl around! 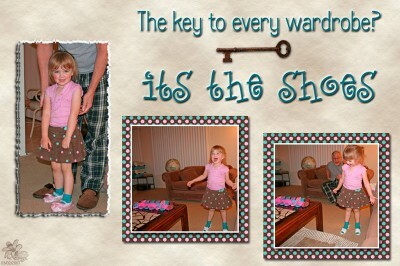 Love the scrapbook page and the shoes. But with a beautiful face like that, who would ever look down at the shoes?! Amara is just so darn cute! I love the pink and turquoise combination too! A couple of years ago I went out walking with my granddaughter near her home. She had randomly mixed a pair of shoes from two pairs. I can’t tell you how many compliments she got for her creativity and confident independence. What is it about shoes?